The 88 eyeshadow palette is loads of fun! I got for myself the 88 eye-shadow palette some months back from a livejournal spree. I was really fascinated by the multitude of colours. And after using it for some while now, I love it heaps! What I love about the 88 eye-shadow palette is that you can experiment with different looks without worrying about wasting your make-up. At about $26 per palette it is even more affordable than the 2-4 colour eye-shadows being sold in regular stores. My problem with many eye-shadows is that many of them aren’t vivid enough on my eyes. But personally, I think that the quality of the 88 palette eye-shadow is just as good and perhaps even better than the ones in regular stores in the sense that the colour pay-off is surprisingly excellent. Nice? I love it as it’s bright and cheery! I did not even add in any eye-shadow primer to it. Though I’m not as good at eye makeup as most of the ladies in Cozycot or the makeup guru’s out there, I really think that this looks nice. I chose these three colours as circled in the picture. With the darkest colour, the turquoise, glide it through at the base of the eyelids. Make a surprised face like this! Then take the lime green colour and sweep it over the curves of your eyeball. This will naturally blend with the top of the turquoise. Finally add the beige as a highlighter, below the eyebrow which acts as a guide. Gently blend the meeting colours so as to not have harsh lines. And then add eye-liner and mascara if you want to and you’re done! Simple right? Even a make-up dummy like me can do it. If rinaz can mekap, so can you! Thus, I would recommend it more for people who are just starting out with eye-shadows. Your post makes me want to get a palette just like it but I can’t find it. The ones on eBay are superbly expensive. Hmm … I’ll try to see if I can find one online for you. Like the one on ebay, I emailed the guy that I was in Singapore (he lives in Hong Kong) and when he found out about it, he reduced the shipping costs. do tag me at another-teardrop.blogspot.com if you have supplies of it. where can I buy one..
hi! I sell those palettes babes.. do visit my website! 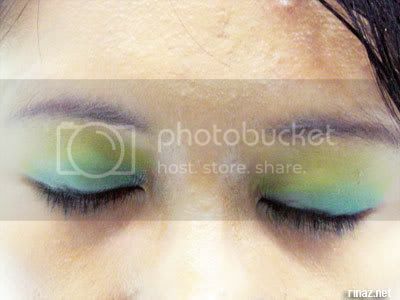 Hi, where can i get this 88 palettes eyeshadow? 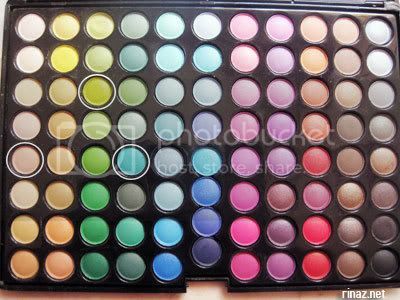 i have this pallet it is great loads of great colours and they give great effects for your eyes. i get complimented alot because of the bright and fun colours !! Next PostNext I finally meet the hosts of 938live!